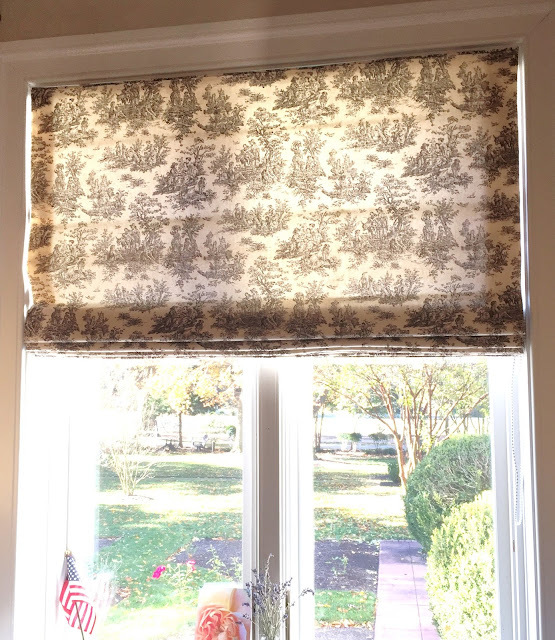 Roman shade tucked under a tailored valance. 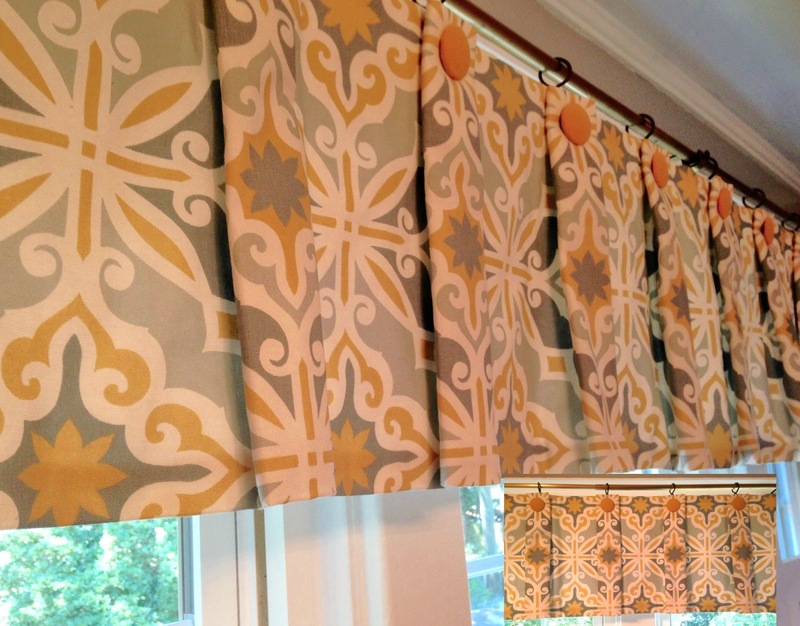 Faux roman shade. Folds are sewn in and it doesn't go up and down in order to make a very limited amount of fabric work for four windows. 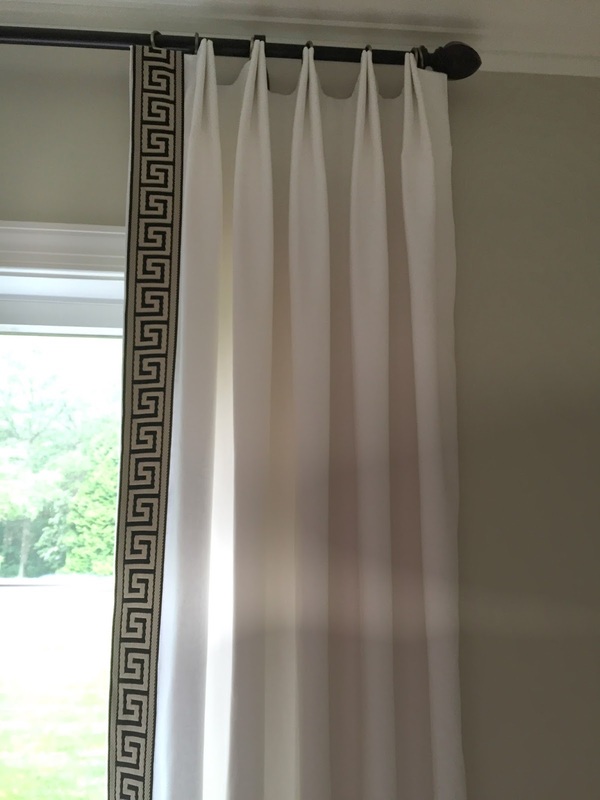 Euro pleat drapery panels with greek key trim. Single width of fabric. 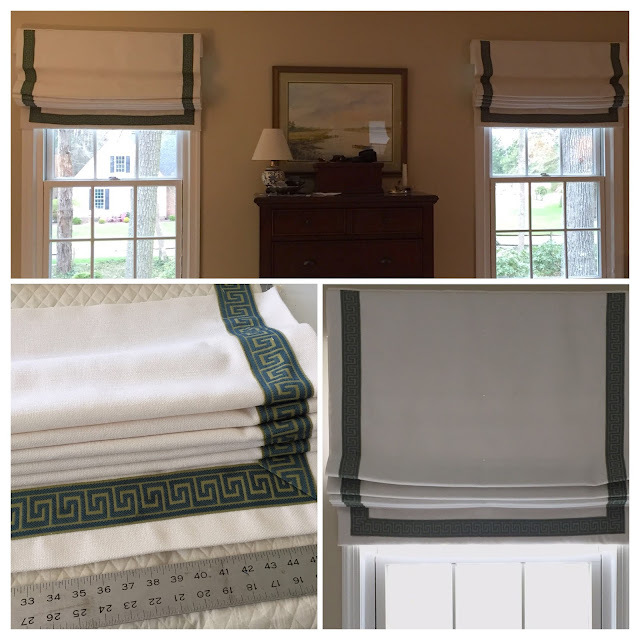 Roman shade with greek key trim and blackout lining. Roman Shades in white poly linen with greek key trim. Blackout lined. 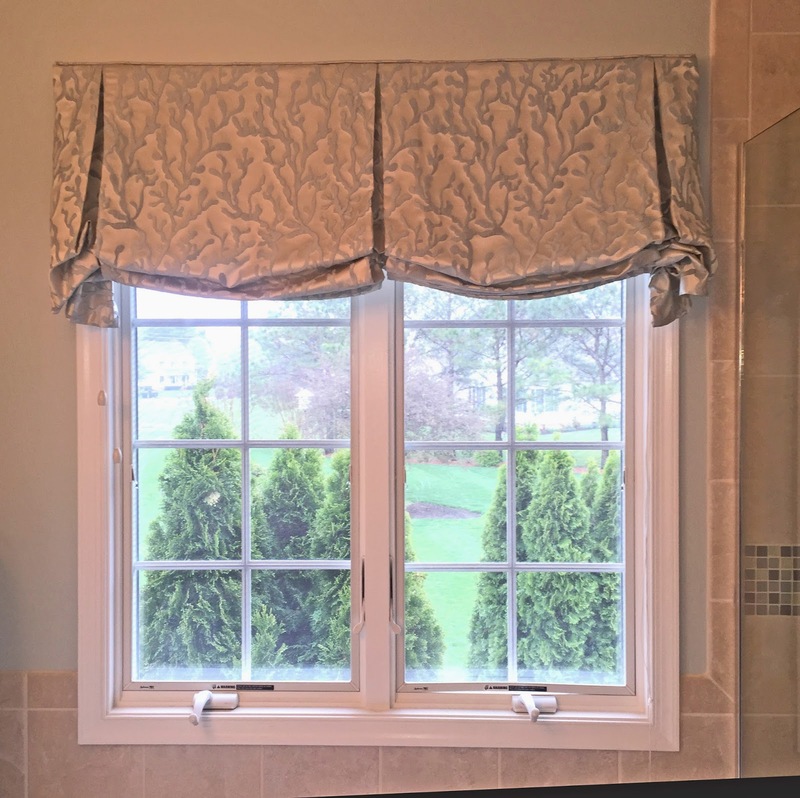 Shaped box pleat valance in white pique with applied bias fabric trim. Pinch pleated panels in silk brocade and sheer linen with puddled hem. Structured linen valance with applied trim. Inverted box pleats with covered buttons span a long window and show off the fun tile motif fabric in a remodeled bathroom. 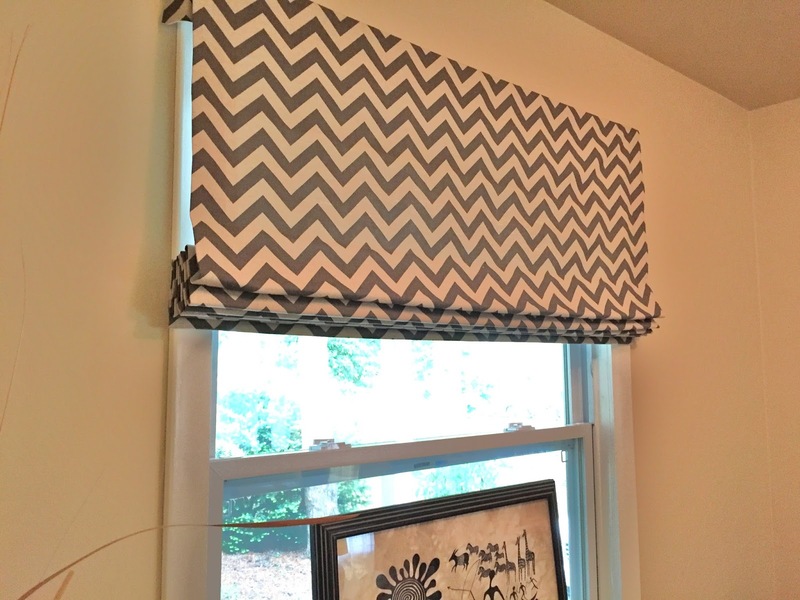 Roman shades in a chevron print cotton with blackout lining. 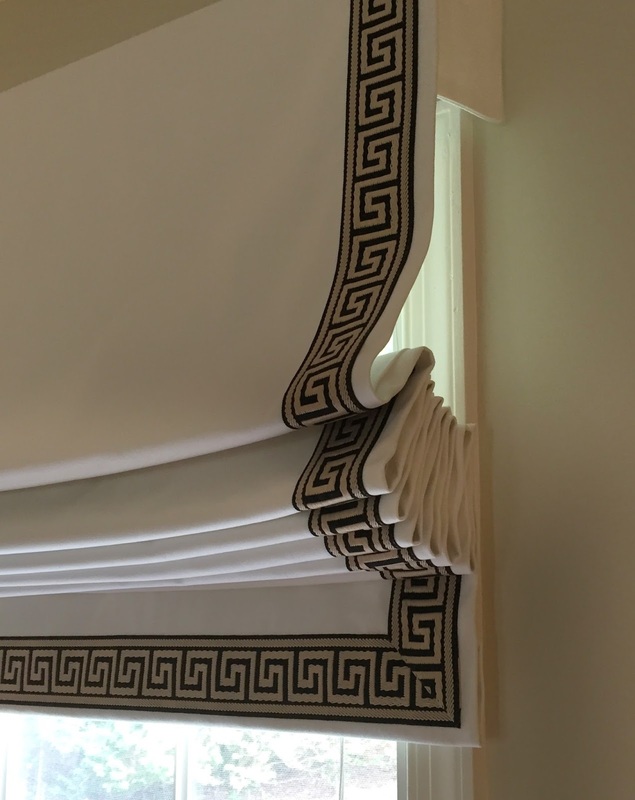 Valances using a variation of the classic Greek Key design with applied trim on pique. Various projects hanging out prior to delivery. 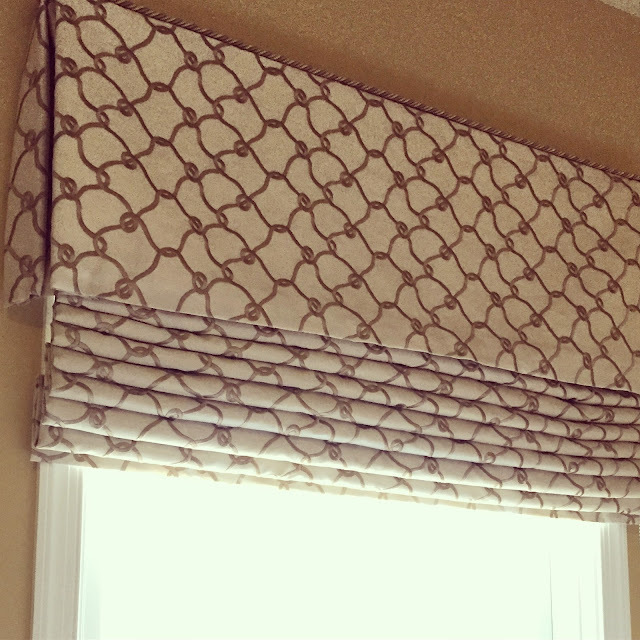 London shade valance for a double window. 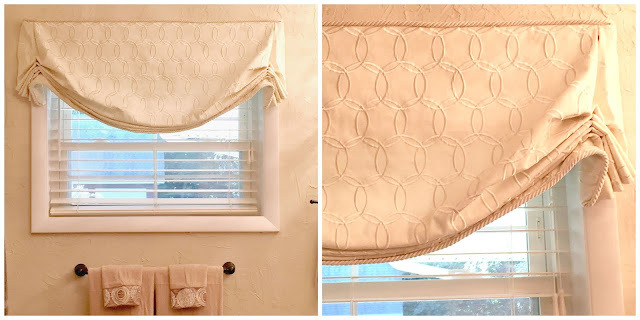 Box pleat valance made from a shower curtain. It's lined & interlined, and trimmed with navy grosgrain ribbon. 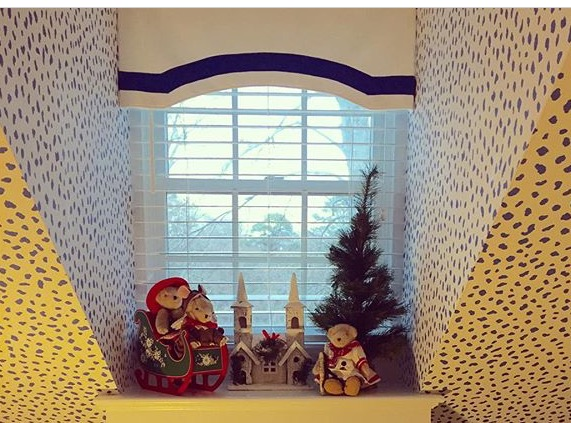 We have since trimmed the shower curtain with ribbon also. A great way to get a custom look for less. 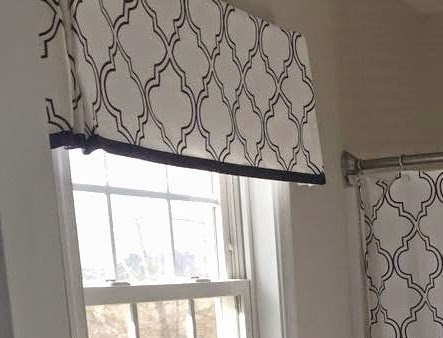 Here's an extremely poor quality video of my test run of a roman shade that uses a roller spring mechanism instead of the annoying long cords that are so hard to adjust. 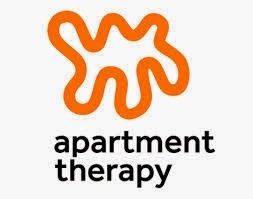 It's a little more costly, but well worth it. Sorry but I have no idea how to slow this video down to the actual speed, or to make it stop running constantly. It's posted HERE on Youtube if you're really interested. 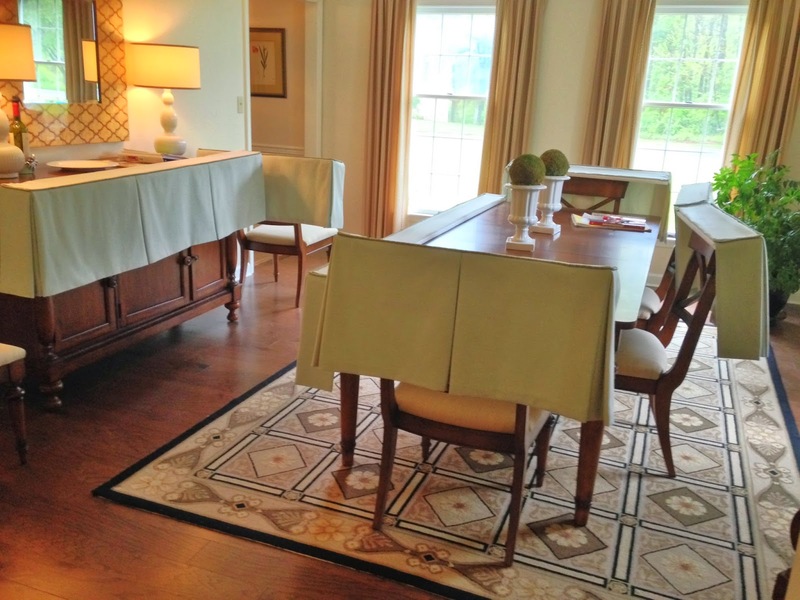 Euro pleat dining room curtains in a rich tonal chocolate stripe. Banded Roman Shades for a den/office. 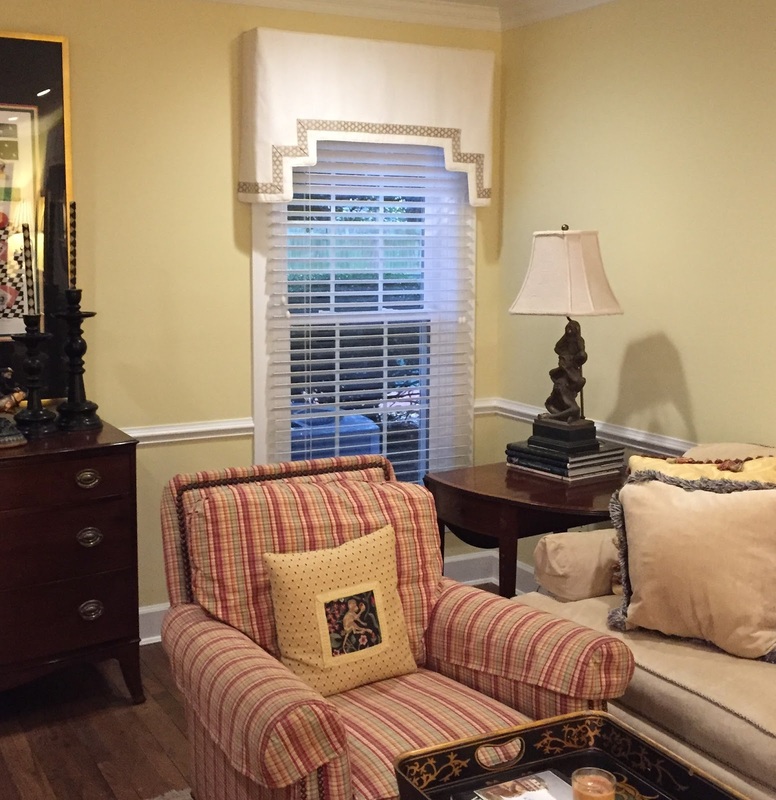 French pleated panels for a formal dining room. 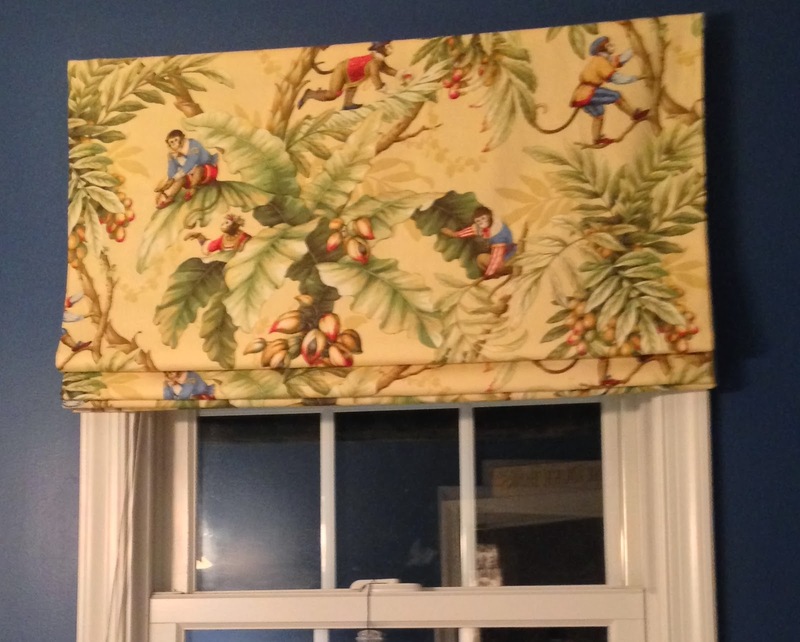 Box pleated valances for three windows (laundry room not shown). Fabric is upholstery weight in turquoise with a cool tile motif. London Shade- stationary- with upholstered cornice. 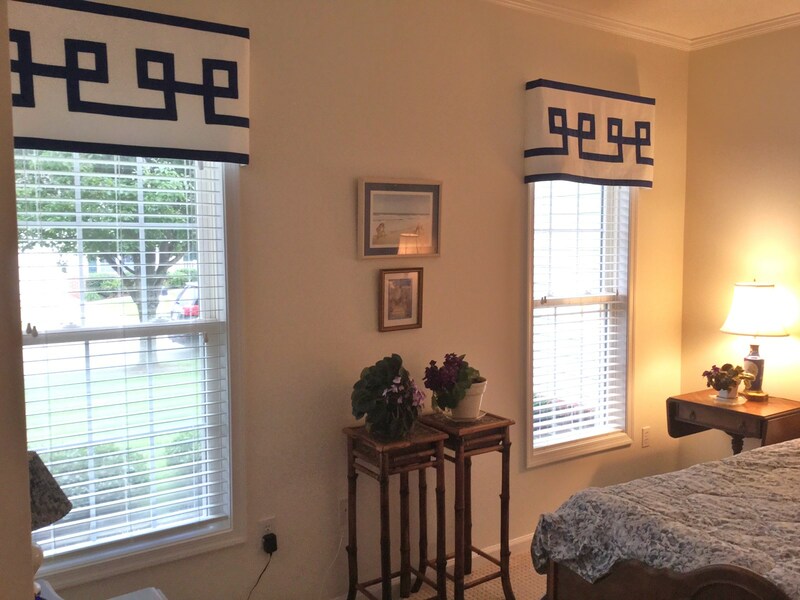 White linen with blue silk pleats, buttons and cording and beaded decorative trim. 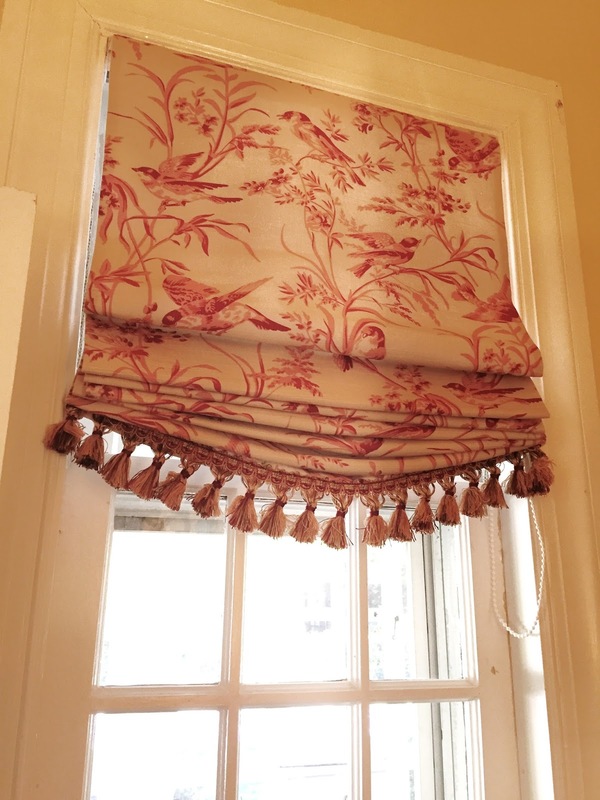 Box pleat valances with decorative cord trim at the top. 7 total from 31" to 95" long. Cute roman shade for a powder room. French pleat drapery panels in cotton stripe. 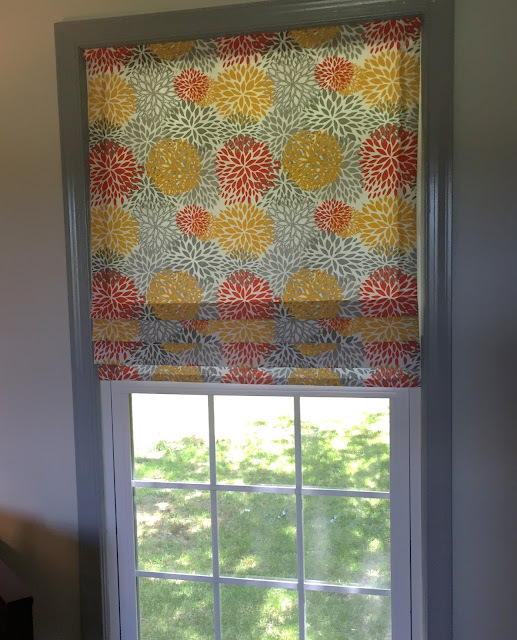 These are made with one width of fabric each (55") so they aren't meant to be closed for privacy. 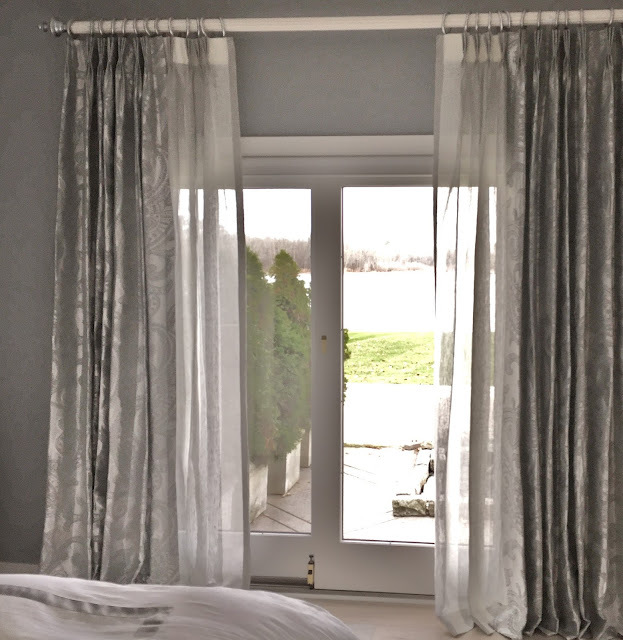 Embroidered linen Roman Shades: Understated and very smart way to use a splurge fabric when you have 8 windows to do.